From former FBI agent and bestselling author Joe Navarro, a field guide companion to his classic What Every Body is Saying, revealing the more than 400 essential body language indicators. 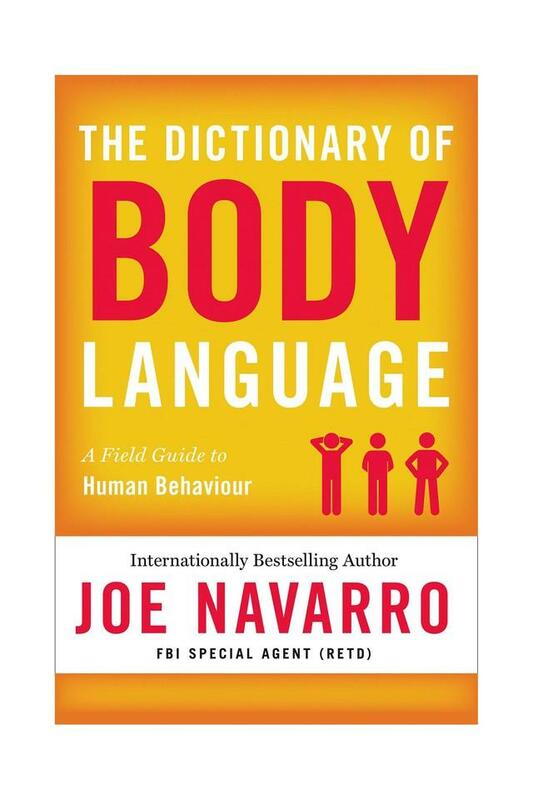 A decade after his huge international bestseller What Every Body is Saying, which has sold more than half a million copies in the U. S. and been published in dozens of foreign territories, retired FBI agent Joe Navarro offers its follow-up. The Dictionary of Body Language is a companion ?field guide? to What Every Body is Saying, expanding the original work with hundreds of additional behaviours and presenting them all in an easy to- reference format. Moving from the head down to the feet, Navarro explains the hidden meanings behind the many conscious and subconscious things we do with our bodies. We learn how to tell a person?s true feelings from movement and dilation in their pupils, what to watch for in the lips of a person who may be afraid or lying, the many different varieties of arm-crossing and what each one means, how the position of our thumbs when we stand akimbo reflects our mental state, and many other fascinating insights. The applications for readers are numerous, from the business environment to romantic relationships. After reading the Dictionary of Body Language, you?ll have a new ability to read other people?s true intentions and to adjust your own body presentation so that you can convey the right messages. Joe Navarro was a career FBI agent specialising in nonverbal communications and is now a lecturer and consultant for major companies worldwide. He has appeared on Hardball with Chris Matthews, the Today show, the CBS Early Show, CNN, Fox News and other major media. He lives in Tampa, Florida.